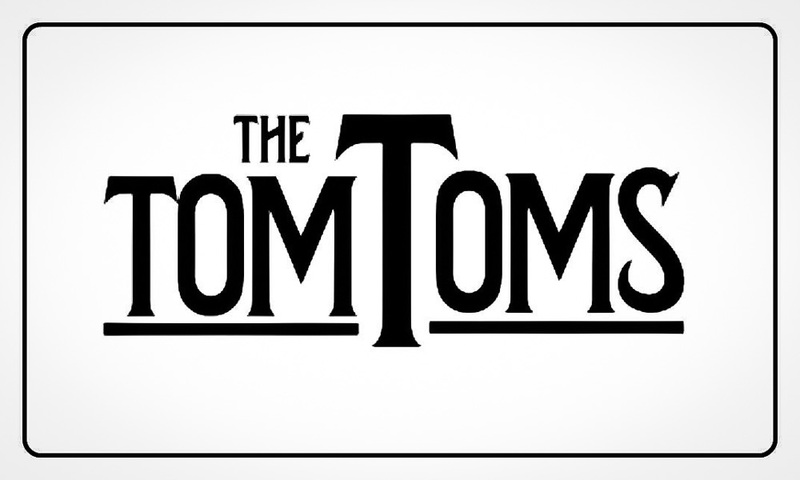 Rhythm, beauty and chaos are words often used to describe the music of Flint’s very own rock band, The Tom Toms. 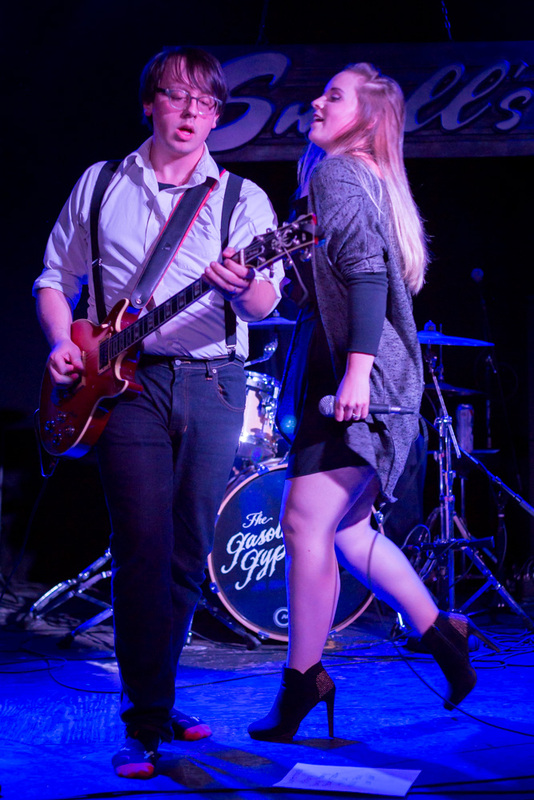 Lead Vocalist Kayla Day and her husband Chris Day, Lead Guitarist/Vocalist, started writing songs and playing music and singing together while in high school. They not only shared their love of music, they were a couple throughout high school, and married in 2011. Chris’s sister, Elaina Day, is the bass guitar player. She lived with her father in Mississippi, but eventually returned to Flint. Shortly thereafter, she began playing with the group at Chris’s request. 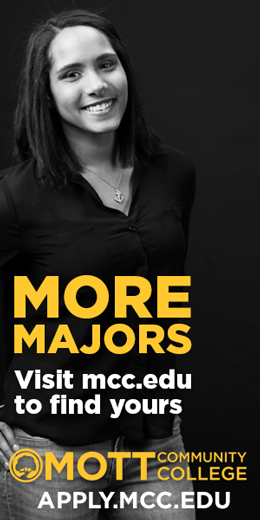 Elaina learned to play bass while growing up, and Kayla came from a musical family – her grandmother played the piano by ear and her father played the trumpet. “I just loved to sing and listen to music. 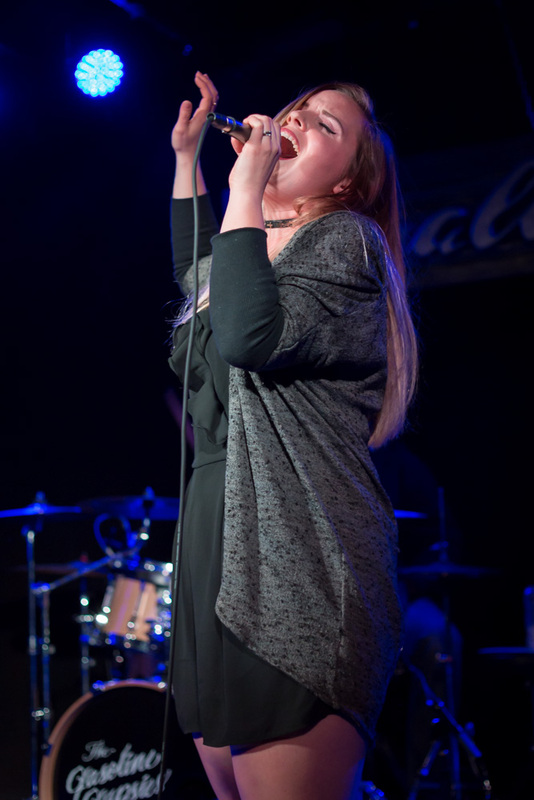 Through music, I found myself as a person,” Kayla says. 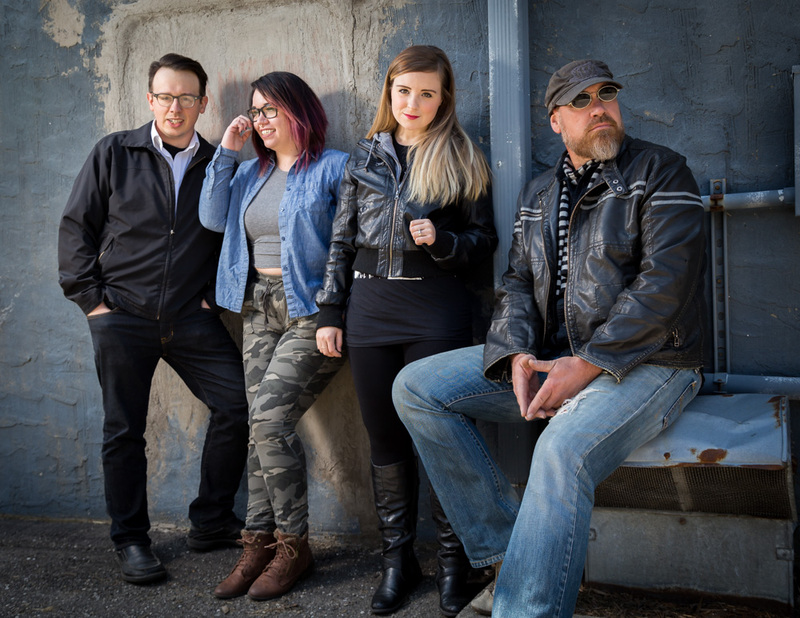 Chris, Kayla and Elaina began performing together in 2011 and Steve Bennett joined the group two years later, when the band was looking for a drummer. Steve grew up in Downtown Flint near Memorial Park. “We did not grow up like the Brady Bunch,” he says, adding that becoming a member of The Tom Toms saved his life. “My dad was a very hard worker, but in the 70s, he was the go-to guy for LSD and a lot of musicians would come to our house,” he shares. Steve’s love of the drums came from his grandfather, who was a Big Band drummer during World War II. “He got me interested in playing drums when I was about ten years old,” he says. 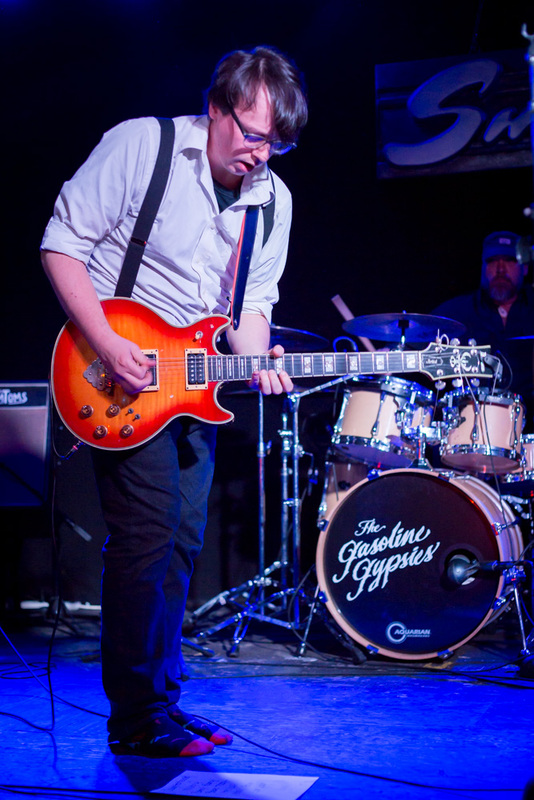 “By the time I was 13, I was in a band, and I started playing in bars at 15.” Before he began taking lessons from local drum legend, Bill Schaffer, Steve felt he was living on the wrong side of the tracks for a while. 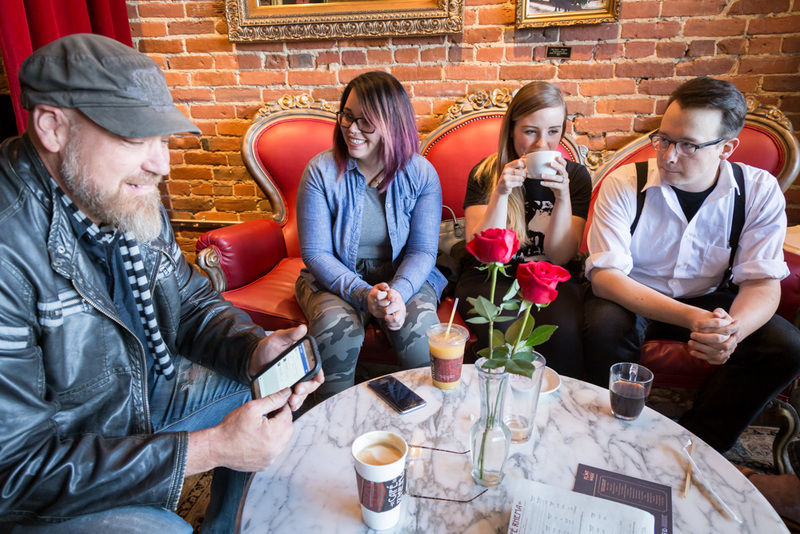 “God straightened me out,” Steve says, humbly. “I was questioning my faith, but joining the group pushed me in a new direction.” He is now the worship leader at the church he attends. 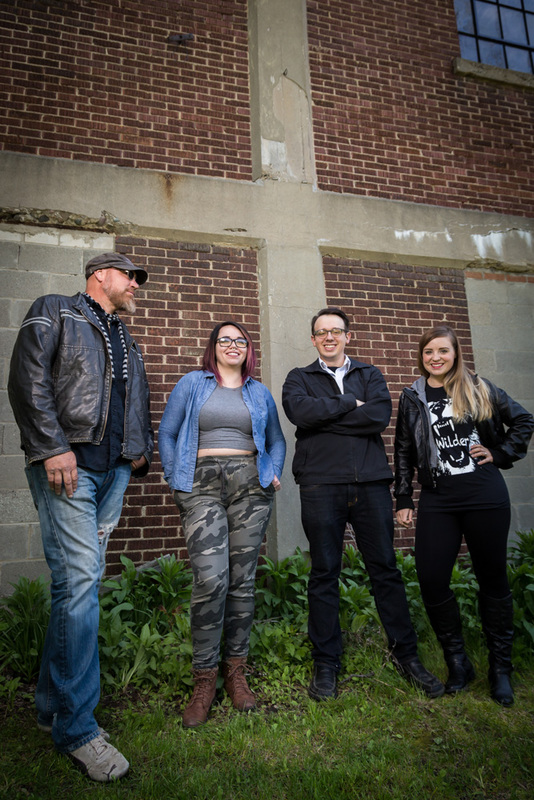 While you can find them performing all around Greater Flint on weekends, all of the band members also have “day jobs.” Chris is a web designer, Kayla works for two surgeons, Elaina has a job with a cell phone company, and Steve is a contractor and owns a swimming pool company. 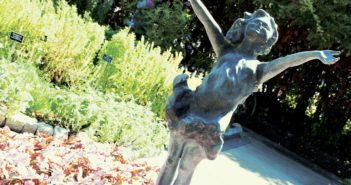 Steve’s wife, Susie, is one of the band’s biggest fans. Their very first show was at Fisher Hall in Frankenmuth for Snowfest in 2014. 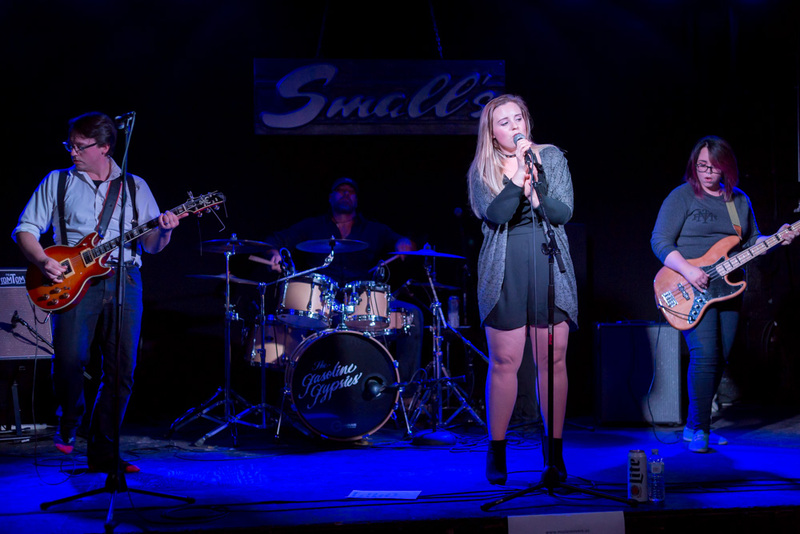 The group describes their music as “rock, really good rock,” and they write all of their own songs. 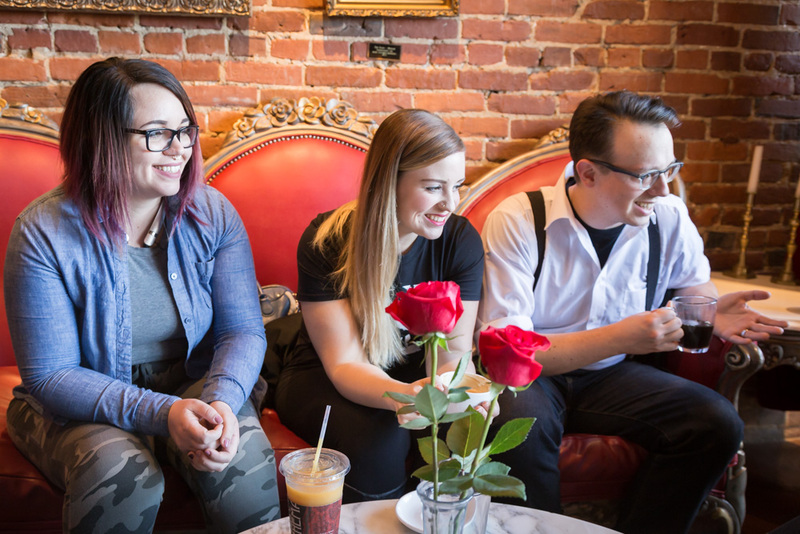 “I tend to focus on writing,” says Chris, “Kayla and Elaina focus on lyrics and music, but it’s a joint collaboration.” Steve says he fills the role of arranger, “and we all work together like a well-oiled machine,” he adds. 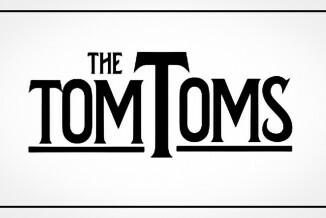 The Tom Toms are managed by Don Kanners of Music Movers. In April 2014, the band released their first album, Music Box of Magic Tricks, and Chris says it has sold well. One of their more popular songs, “Liar Liar,” will be included on an upcoming album.